This page contains strong elements of honesty, integrity, drive, passion, and some slightly "colorful language". Anyone offended by these qualities, or the idea of getting well and staying well should not read this website. Why is the America Public Throwing the Towel on Traditional Health Programs and Turning towards Chiropractic more than ever…. Reading this can put you in charge of your health and wellness in less than 6 months. Please read all of the Coffee House Agenda Notes. This is a critical moment for you to change the failure rate of your health. Others are doing it every day and Here is how. They put this information into action! If you are looking to achieve health through modern health care and insurance, specifically only going to the doctor when it hurts or with the mentality “if it ain’t broke don’t fix it” attitude, you’re in for a rude awaking my friend. You see the health care industry is changing rapidly and the purpose of this “Coffee House Agenda” is to warn you, or at least make you aware of the very unsettling insight that need your immediate attention if you plan to live a healthy life and not spend your retirement on medical bills. How were gong to go ahead and assume that you’re either pursuing health and wellness proactively, or you are pursuing the treatment of some disease right now. If you are in either group consider your self extremely fortunate, as the information will save you a lot of frustration, blood, sweat and years trying to find the answers. We are the sickest species on the planet! Do you feel like no matter what you do, you can't get a grip on your health? People are telling you to take charge, but your too tired, or too broke. and your ready for a change. Your Family Could Be Completely Different! Everyone wants Wellness; it is the current buzz word in health care. Well, the answer is simple…give the body what is required for life! LEAN FORWARD and Let Me Tell You "Who I am" And "How I Can Help YOU..."
Hello, my name is Dr. Joshua Welch. If you are ready for a change...Let me Know. Only a few of you will. After years of private practice and working with thousands of individuals I have found out that the biggest secret to health and weight loss. It is amazing and it is transforming lives everyday. 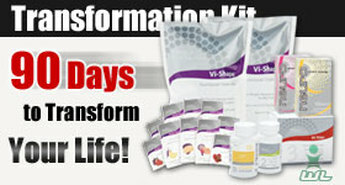 90 days using our Body by Vi™ Challenge. 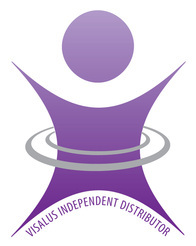 ViSalus and the Body by Vi Challenge is geared to help you reach your goals, no matter what they are. From simply losing a few pounds, to getting fit and toned, we have the tools, the products, and the community of supportive people to celebrate your success. The Body by Vi™ program is easy, fun, and guarantees results. Most people are fighting with three main health issues. They are lacking proper nutrition, proper exercise and proper mental attitude. This is good new! Really? You can change your life right now, take charge of your health. You can change as little or as much as you want right now. But you must take action today! or overall health is a process. This is done by doing more right things than wrong things. How can you expect changes if you are not giving your body and mind the required nutrients for success? This challenge incorporates ideas and changes at a pace that you can do. Making little changes that you can do. No kidding, make your health goals in small Achievable Steps.